The Rockit water bottle is made of Stainless Steel with a Copper insulated liner. 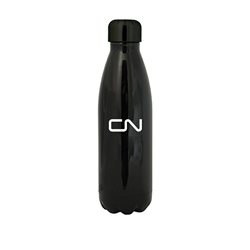 Keeps your beverages cold for up to 24 hours and hot for up to 10 hours. Use for cold water, tea, coffee or your other favorite beverage.